After years of discussion, members of the Mobile County 911 Board agreed last week to purchase the Mobile County Emergency Management Agency’s current facility on McGregor Avenue. Though no money has changed hands and a closing date is still unclear, the purchase is the only option the Mobile County Communications District (MCCD) saw to assist the EMA in securing funding for the construction of a new Emergency Operations Center (EOC) near the MCCD’s current campus on Zeigler Boulevard. An EOC is a centralized location used for coordinating services during an emergency, but portions of the current facility on McGregor Avenue are more than 60 years old. Its aging condition has pushed the county’s interest in a new facility, but due to fiscal constraints, those discussions have been drawn out for almost a decade. Though the MCCD has long since planned to contribute to the project, the board’s own lawyer said statutes governing the district’s existence don’t allow its board to directly fund anything other than emergency communications in Mobile County — including the EMA. Charlie McNichol, deputy director of the MCCD, recently took a trip to look at similar “jointly operated” facilities in Louisiana and Mississippi. He said the layout of both operations seemed like “a great concept,” but said Mobile County’s situation wasn’t exactly comparable. While MCCD Director Gary Tanner did agree there was no need to build an entirely new center 300 feet away from the current location, he did say the MCCD is in need of a training facility and somewhere to house its newly formed electronics department. Tanner said the McGregor facility could also serve as a backup should something prevent emergency communication workers from occupying the MCCD’s current facility. “Our recommendation is that we assist in funding the new structure next door with the value of purchasing that building (from the EMA),” Tanner said. The board followed suit, passing a resolution pledging the purchase of the building at fair market value consistent with a contemporary appraisal when EMA begins construction of a new facility. The appraisal will determine the ultimate price tag, though at the meeting Tanner said the current estimate is somewhere between $1.5 and $2 million. For several years, the MCCD earmarked about $1.3 million of its budget for the purchase, but hadn’t officially pledged the funding until Thursday. Though it’s not binding, that resolution gives the EMA a better idea of what it will have to work with when constructing the facility is moved up from the county’s backburner. The construction costs for the facilities McNicol toured ranged anywhere from $5 to $15 million, but a final dollar figure isn’t set for a new Mobile County facility and neither are its funding sources. 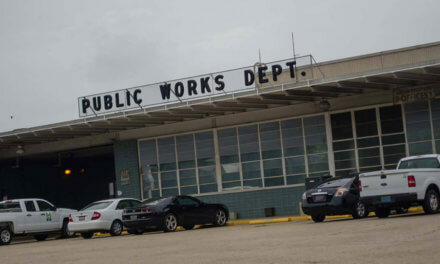 Though the property the building is slated to sit on was donated by the city of Mobile, a $7 million pledge for additional funding has since been retracted by the City Council. Mobile County has agreed to use $7.5 million from its current capital improvements fund, but there has also been some discussion of using an additional $2.6 million from the 2012 CIP program. So far, only $7.5 million is officially on the table. The county also sought funding the EMA in one of its numerous applications for RESTORE Act funding, which will be available when a federal court rules on the civil penalties assessed to BP following 2010’s Deepwater Horizon oil spill. The EMA has already received about $2 million in federal grants for the construction of the EOC but according to Mobile County EMA Director Ronnie Adair, around $800,000 of that has already been used to design a structural plan for the new facility. According to that plan, the new building could cost somewhere in the neighborhood of $14 million and would be around 36,000 square feet when completed. Though it’s not certain where the rest of the money will come from, Adair said he was glad the MCCD was keeping up its end of the bargain. Adair made a point to thank Commissioners Connie Hudson and Merceria Ludgood, who he called two of the project’s biggest supporters. In previous reports Hudson told Lagniappe the project was becoming more of a priority because the $2 million in federal grants received by EMA also came with a deadline. According to Hudson, the county has already been granted two extensions on that deadline, and additional extensions aren’t guaranteed. If the demands of the grant aren’t met, the federal government could request the money be returned.